Increased prices of energy and other commodity products have increased the costs of production and therefore the price of food. Macedonia also faces these challenges parallel to the challenges posed by its undeveloped agriculture. In such a situation having the right information and knowledge is crucial. Does the Macedonian agricultural sector need a formally organised institution that will provide non-formal T&E based on the specific needs of Macedonian farmers? Evaluation practice – what type of methodology providers use to evaluate the training they have provided. When we look at the organisations as providers of T&E like Foundation Agro Center for Education (FACE), FOROP (Foundation for Reconstruction and Development of Ovce Pole Sveti Nikole), and CISPOS (a sector within the Faculty of Agricultural Sciences and Food that provides non-formal education), the positive side is that their core activities are providing T&E services in the agriculture sector. One of them, FACE, has excellent competence for providing technology training, because the entire staff and the equipment of the Institute for Agriculture is available to meet their needs. This is a significant competitive advantage in comparison to the other entities in this group. A serious problem of these organisations is that the financial support is coming by international donors (projects) in the agriculture sector.There are projects such as MAASP, Agbiz, USAID and other projects working on temporary basis. Even though these sources of financing cover large extent of their activities and allow for training with high level of quality, they come with very high indirect cost. The current situation has two consequences: unstable long-term financial sustainability and building perception among farmers that education is for free. Other significant disadvantage of the current organisations as providers of T&E is the absence of individual farmers as their main target audience. As we saw in the analysis, with the exception of FOROP, current organisations are mainly focusing on building capacities among potential trainers and future consultants. This is a model that can promise long-term sustainability. On the other hand, FOROP faces serious problems of not having stable financial sources (donors) and having limited human resources, bearing in mind that activities done in the organisation are on a voluntary basis. Their strategic orientation to start additional activities such as agricultural production, consultancy, etc. can solve the problems of financial sustainability but at the same time it can result in defocusing FOROP from providing T&E services. With regard to high quality, focus on individual farmers and financial stability, projects have shown excellent results. Some of the projects are: Land O’ Lakes (completed), Macedonian Competitiveness Activity – MCA (completed), IFAD – International Fund for Agricultural Development (in a closing phase), Agbiz (ongoing), MAASP (ongoing); SFARM (ongoing). These are organisational forms that have stable financial sources which allow for extensive investment in T&E and training focused on the individual farmer. Projects, such as IFAD and Land O’ Lakes, have paid special attention to the individual farmer and technology training, which points to the use of efficient training needs assessment methodologies. This conclusion can also be confirmed by the fact that the elements of the T&E service (period of delivery, mode of delivery, location) are consistent with farmers needs and preferences.A model, which was identified in the group of organisational providers (eg. FOROP), is a model that promises good results bearing in mind that it is based on direct communication as the most suitable one for farmers. Projects have brought a lot of international trainers, who in turn brought international experience and modern perspective in every agriculture sub-sector. Projects have played a significant role in the process of capacity building, creating a generation of competent local trainers and consultant. The strongest disadvantage of these providers is their temporary nature. Also, even though they have set high standards regarding the T&E service quality, they have had strong influence in creating perception among farmers that training is for free. The National Extension Agency (NEA) and the Ministry of Agriculture are a group of providers of T&E supported by the government. NEA is an organisation financed by the government and operates separately from the Ministry of Agriculture. The purpose of this organisation is to support rural development in the Republic of Macedonia. A significant advantage of this group of providers of T&E is that they have the government and its financial and human resources as their stable support. These bases enable easier T&E commercialisation. With a guarantee of financial base encourages intense usage of the cost-sharing model and even the “whole pricing” model. More precisely, having stable financial grounds makes it easier to tackle farmers’ perceptions “not to pay” for T&E. Additional advantage for this group of providers is their focus on the individual farmer. Of course as disadvantages we have lack of marketing skills among this type of providers, lack of competent staff and absence of strategy for T&E. Most of the resources (both financial and human) of these providers are focusing on direct financial support for farmers such as subsidies or use of financial funds such as the program for support to rural development or IPARD. Instead of going parallel, activities for financial support in agriculture are not consistent with the efforts in the area of T&E. 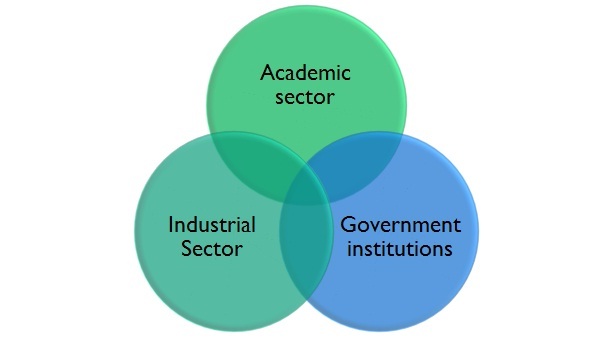 This indicates that governmental organisations have not made a strategic connection between investments in education and efficient use of financial support, both governmental funds and EU funds. Therefore, we can say that long-term strategy regarding T&E is missing and T&E is not delivered on a regular basis. Another significant disadvantage of this group of providers of T&E is the lack of experienced staff. Especially in the case of NEA, the current staff consists of young and inexperienced public officers. Companies have also played a role in the process of T&E in the agriculture sector. What is very clear in this segment of providers is that their educational involvement has very precise purpose because it has the goal of satisfying their own interests through farmers’ education. This stands both for companies selling agricultural raw material and companies that represent the agricultural industry (processors, traders). Having in mind that their results depend on the quality of information they deliver to the farmer, they invest a lot of time and money in order to deliver this information to the farmer. This type of training is entirely focusing on the technology of agricultural production and directly impacts the results of farmers. As a conclusion of the analysis summary we give a clear answer to the research question that a formally organised entity which will provide T&E in the agriculture sector is not a realistic scenario. Facing the situation of all four groups of identified providers of T&E with the current needs and preferences of the farmers does not promise a financially sustainable model. The fact that all four groups have their advantages and disadvantages indicates that combining the role of each of these providers would be a more rational scenario for a model of T&E in the agriculture sector. Aims to present what constitutes this type of market. Which are the conditions and trends of the market, competition, future predictions and factors for successful market positioning. The analysis is the input for the second phase of the consulting package. This will aim at preparation of a business plan for those products for which the initial analysis shows that they are economically justified for investment. The data used in the analysis origins in large part from secondary sources. The main data sources are the leading research companies, agencies and universities, statistical institutes in Europe, Macedonia and the region, and the leading magazines and shows of the area that is treated. The main sources of the analysis are the research companies Euromonitor1, Business Monitor International2, ИBIZVordl and CBI. For the analysis of national level data are mainly provided by the State statistical office of the Republic of Macedonia and the Central registry of the Republic of Macedonia. The purposes of this research were used some primary data from experts in the field and an analysis of the prices of retail. The main strategy of positioning is the production for other companies. (LSM with their own trademarks and private companies have already built a trade mark). The establishment of strategic partnership with local and foreign companies is an integral part of the main strategy of positioning. 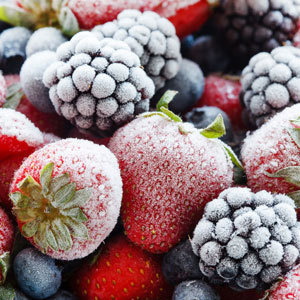 Dried fruits and vegetables as a sub-sector in the processing of fruits and vegetables is limited. What is indicated through this analysis is that the market of dried fruit and vegetables is too small, both at national and international level and as a result it does not provide sustainability. The establishment of a strategic partnership with the buyers of great СОЗ in the Republic of Macedonia is a factor for success in the industry. The narrowing of the period of payment to farmers in comparison with the period of payment of the purchasers of СОЗ is one of the key factors for ensuring a stable raw material. Agreed production by individual agricultural producers is an additional model of provision of adequate quantity and quality of the raw material from the СОЗ. There is an evident positive relationship between innovations and economic development in the countries. Innovations and technological advancements are considered as a founding mechanism for competitiveness and efficiency, and thus a strong driver for economic growth. Increasing the capacity of the business sector for developing solutions that create higher added value for the customers by meeting their new needs or old needs in new ways, is another concept that we will concentrate on. Focus on innovation will be put on those sectors that create the countries’ competitive advantage in the global economy. Economic theories and empirical studies have demonstrated that innovation is a key factor driving economic growth and long term well-being. As the Republic of Macedonia strives to grow economically, it is important to strengthen its competitiveness through implementation of mechanisms that drive efficiency and productivity and create products with greater value added. Although innovation by definition involves implementation of not only new, but also improved products, services and processes, yet the general public perceives science and research as the only sources of innovation and somehow forgets about the incremental innovations that can have an equal and sometimes even greater impact on the growth compared to the radical ones. Therefore, it is immensely important to: raise awareness about the benefits of innovation and strengthen the educational system in a way that it will promote innovation and creative thinking. The foundations for building innovation based economy, lay in the concept of cooperation, knowledge-sharing and joining resources. For a small country like Republic of Macedonia, with limited resource base it is essential to strengthen the communication and cooperation between these innovation actors. Therefore, this particularly targets the actors within the spheres as well as among the spheres of the triple helix model. The legal protection of innovation is another area of interest. Creating a regulatory environment that will ensure that each and every actor involved in the process of creating the innovation (the innovator, the resource and infrastructure providers etc.) gets an equal share of the cake, is not only one of the greatest challenges in the Republic of Macedonia, but also everywhere in the world. The Government alone cannot resolve all environmental issues in one country. Having non profit organizations that care about these environmental questions is crucial for survival and protection of the environment. As a NGO, GGP is interacting with Governments and Internal intergovernmental organization in shaping international environmental policies and resolving environmental and security issues in many different areas. With creating awareness among the public and facilitating the participation of various categories of stakeholders there is always a discussion on current environmental issues and solutions for those issues. 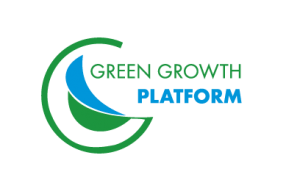 Green Growth Platform is involved in protecting the natural resources and entrusting the equitable use of resources, data generation on natural resources, analysis and monitoring of environmental quality, transferring these information from data generation and monitoring through web pages, brochures, articles, audio visuals, etc. Despite this transfer of data our platform is organizing seminars, lectures and group discussion for promotion of environmental awareness and helping farmers and administrative in preparation, application and execution of projects on environmental protection. We believe that cultivation of the environmental question in all of the economic activities is essential for achieving sustainable growth in the long run. Therefore that compliance of national environmental standards with those that are broadly accepted is another important ground in all of the GGP projects. 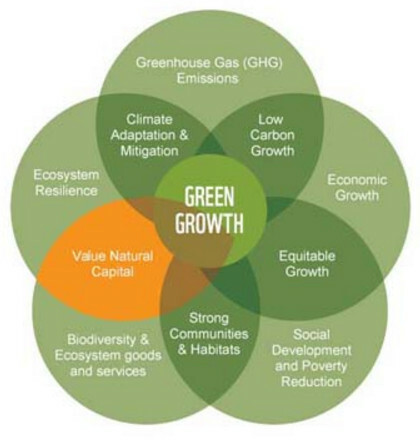 Major concerns of Green Growth Platform are issues like future of environmental protection (which includes activities like prevention of environmental deterioration as a result of human activities, control of human activities that contribute towards deterioration of our environment, initiation measures for the improvement of our environment and increasing public awareness about the state of our environment), sustainable development and zero population growth. » National or river basin level. In irrigated systems, improved water management for greater water use efficiency is achievable through conveyance and application systems, scheduling and the availability of water in the root zone of the plant. Under rain-fed agriculture, improved water management can be achieved through water harvesting, soil management practices that result in the capture and retention of rainfall and through soil fertility and crop management innovations. » Innovations that increase water availability or optimize water use through greater use efficiency in rain-fed agriculture or irrigation systems. Waste management is all about how to dispose of the outputs that are not needed or we do not want them on the farm. Production, storage, processing and consumption of agri-food products inevitably generates wastes. In most cases, it is natural by-products of crop and livestock production, such as crop residues and animal manures, which in many cases are readily, recycled through natural ecosystem processes. GGP vision is to move “beyond agro-food waste” – whether if it's farm strategies for recycling crop and livestock production wastes or community and regional strategies for completing the carbon and nutrient re-cycle at a regional and national level. » Strategy for reusing waste product on the farm or other use and after reducing and reusing as much of the waste product as possible, recycle the product either on-farm or off-farm. The European Union has put in place a broad range of environmental legislation where the air, water and soil pollution has significantly been reduced in the past decades. Chemicals legislation has been modernized and the use of many toxic or hazardous substances used by agriculture producers has been restricted or minimized on very low level. Today, EU citizens enjoy some of the best water quality in the world and over 18% of EU's territory has been designated as protected areas for nature. » to safeguard the Union's citizens from environment-related pressures and risks to health and well being. » Through development of policies and expert services, we aim to support the conservation and restoration of biodiversity, through different consultancy on better regulations, cost-effective agro-environment schemes and utilization of other EU funds that provide assets for biodiversity protection. » The expertise and services of the GGP team ranges from large-scale research projects to detailed analysis of specific aspects of legislation. The agriculture sectors rely on natural resources and cycles as its primary inputs. Resources such as water, soil and biodiversity underpin the functioning of ecosystems and the farmland. As demands on these resources rise up in the last century, we risk depleting them beyond the limits and undermining the future and benefits they generate for farming community. New agribusiness models can be created by optimizing the use and re-use of the natural resources and become more economic and sustainable in the long term, reducing risks linked to external inputs and commodity prices; reducing the pressure on the resources. The circular agriculture is an option to create and manage alternative agricultural processes and food products. The circular agriculture approach in near future will become attractive for small-scale businesses in order to make the most of their innovation potential to be more competitive, maintain employment and create green growth jobs in rural areas. Consumer education is one of the key importance in the circular agriculture in order to provide more attention and visibility to nutritional and taste-quality aspects. There are opportunities across the food chain to reduce food waste, from the farm through processing, retail chained end-user. GGP team have long-term vision to move towards a more circular agriculture and brings many opportunities for the agriculture sectors. The team aim is to provide with expertise all involved parties in the agricultural sector. » Reducing costs through more sustainable using of the locals resources and making sufficient waste management. » Encouraging interaction between farmers and decision-makers, understanding the value of the natural resources and making the most of agriculture unavoidable wastes. » Strategy for new income streams and jobs creation in the rural areas by utilizing new circular resources and opening up new market horizons. » Reducing exposure to risk from prices volatility or changes in the policy, by transitioning to more resource efficient agribusiness models. CSA is defined and wider accepted approach that is used for transforming and reorienting agricultural development under the new realities of climate changes and sustainable increasing of productivity, enhances resilience, reduces CO2 emission and enhances achievement of the sustainable development goals. Opposite of the conventional agriculture, CSA systematically integrates climate change practices in the development of sustainable agricultural and food systems. CSA should not be taken as a complex system of practices and technologies. There are different stages and fields that are clustered from the development of technologies and practices to the elaboration of climate change models and scenarios, information technologies, insurance schemes, value chains and strengthening of governmental institutions. » Use of feed additives that modify the production of methane by ruminants. 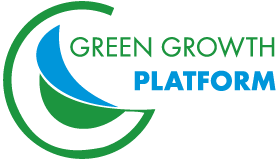 Sectors agriculture and rural development together make the first pillar and primary focus of the Green Growth Platform. These sectors are in GGP focus because we have an understanding that there is an under utilization of the natural resources and perception of social and economic inequality when compared to other sectors. With our activities we assist farmers and other sectors stakeholders to achieve a better understanding in the areas of agricultural development, agribusiness and agricultural markets. We assist farmers with tackling challenges in the area of agricultural development, agribusiness and agricultural markets. Our team is specifically focused on international agricultural development that has the knowledge and skills how to create enabling environment for development of the agro-food industries in Western Balkans and Eastern Europe. In this area we are specialized how modern technologies can leverage the process of agricultural development. The main aim of any agricultural policy should be to help address the world’s long-term food security. Agricultural policy should help equal distribution of agricultural products and affordable price to those who need it in the most efficient manner, and provide a safety net for farmers that does not distort markets or planting decisions. Inefficient planning and short-term strategy for agricultural policies lead to increase or reduce of production, disrupting markets, and mostly results in shortage or oversupply when meeting consumer demands. Therefore, such policies are counterproductive and against real farmers.Agricultural policies that distort trade and production, such as price fluctuation, quotas and subsidies should be risk managed. Even with government support, farmers should be able to make decisions based on pricing, demand and climate conditions. » Promote and facilitate the adoption of the most effective agricultural solutions. » Make right decisions at right place and time – experts from Western Balkans and Central Eastern Europe bring unbiased expertise and agricultural policy views in agribusiness development and agricultural extension. » Step ahead of competitors – Our fast decision solutions allows farmers to adjust quickly, appreciate the implications of agricultural policy changes and support for capital investments in agriculture. » Easy to understand and apply CAP insights – With key analysis, you get a better grasp of the latest developments to help your decision-making and get close to CAP in terms of competitiveness and market-oriented farmer. » Save your valuable time and reduce costs – GGP may serve you as one-stop-shop adviser for all your information, news and analysis related to your country’s agricultural policy and strategy. Precision agriculture is a broad term commonly used to describe particular farm management concepts. 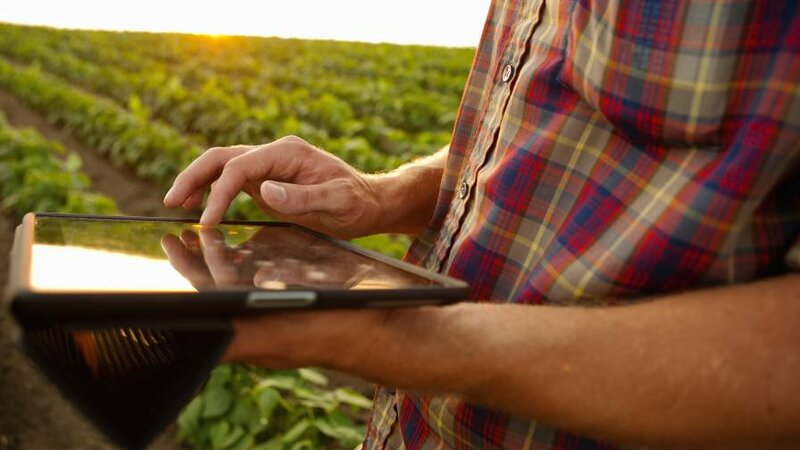 Advancements in technology have enabled the practice of precision agriculture to expand, providing even greater advantages for farmers and agricultural operations, including yield monitoring and crop scouting. By offering instructions of how to use this new technology, precision agriculture management concept is based on observing, measuring, responding to inter, and intro-field variability in different crops, thus giving great assistance and value to the farms. Precision farming services ensure that you have access to all the information needed to make effective and successful decisions about agriculture production, sustainability and equip farm managers with the detailed information required to make better decisions and maximize productivity. Properly implemented, precision farming philosophy, using grid sampling and mapping services, will help farmers to apply the right amount of fertilizer/pesticides at the right time and place on their farm. Why PA is future that cannot be avoided? New technologies and tools that policy makers can now use to track and predict food insecurity before it happens, allowing both farmers and policy makers to increase their adoption capacity. » Improved Prediction - From satellites to ground-based remote sensors on the farms, we can forecast the drivers of food insecurity with increasingly higher degrees of accuracy and precise decisions on the spot. » Improved Information - Slow policy prescriptions in developing world should not be obstacles for the farmers, as the true first respondents to any crisis are the farmers themselves.Farmers will receive agricultural information in local languages, increasing agricultural productivity in rural areas. » Improved Data - There is an explosion on farming data producing globally, which is utilized by agricultural companies and farmers themselves to improve crop yields.We need the ability to combine satellite data with direct observation of sample target populations to create highly accurate predictions of when and how large targeted crop will be at its maximum optimized level and ready to harvest. » Improved Policy - Yet improved policy will not come from national strategy or government alone, nor policy itself lead to greater food security for farmers and the rural communities who depend on them. We will need efforts and initiative to create technology innovations that directly benefit farmers. » Improved Response - On one hand, PA can help us better predict farm production and adapt to its effects, but on the other hand, there is still a global need to understand and begin producing with. Political will and leadership is needed to ensure that the economic gains from advances in technology are more widely distributed so that all farmers, not just the large-scale and corporation one, have the ability and access to modern PA tools. » Make hard operation easy. E-Agriculture involves the conceptualization, design, development, evaluation and application of innovative ways to use information and communication technologies (ICT) in the rural areas, with main aim to improve the communication and education process between involved stakeholders in the agricultural sector. For example E-agriculture can be about delivering agricultural information and knowledge services such as market and input prices and extension services directly to farmers, via smartphones or other devices. 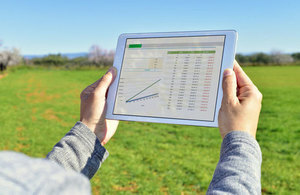 Nowadays, small-scale farmers acknowledge the need for e-agriculture strategies, but most countries are yet to adopt a strategic approach in making the best use of ICT developments in the agricultural sector.The ICT opportunities and challenges for the agricultural sector emphasize new modern revenue streams and improve the livelihoods of the farmers and rural community. The existence of e-agriculture strategy and its alignment with other government plans will prevent e-agriculture projects and services from being implemented in isolation. The outputs of e-agriculture policy are not static and changes in a country’s strategic context will require a dynamic approach to continuous updating so that it remains relevant. Based on the e-agriculture vision and usage of ICTs, GGP team can assist you in creating strategies that include an e-agriculture vision, an action plan and a framework for monitoring and evaluating of the results. » Facilitate market access for inputs as well as product marketing and trade. National and international database on farm information through collaboration between the public sector, agribusinesses and producer organisations in Western Balkan is highly needed. Small-scale farm’s business modelling approach is optimized in various ways, which include different farm planning activities such as: financial and economic feasibility on the farm, risk analysis, impact of agricultural policy decisions on each agricultural sub-sector, input and market-related price volatilizes on the farm and the long-term strategy and agribusiness projections. » make a common platform to share experience on farming businesses and farming systems can make fully integration of the small-scale farmers within the value chain. » Fully integrated approach for empowerment of small-scale farmers through analyses and financial modelling of various small-scale households and understanding the economics of small-scale farming in given region or country. » Developing several phases that include the process of identifying, constructing and evaluating different small-scale farms and their needs of integration within the value chain. » Technical assistance to apply for agribusiness support via IPARD Funds or any other eligible fund. Small-scale farms in emerging markets are counted as one of the most important drivers of the local and rural economy. Regional food processors, traders and exporters should have strong relationship with small-scale farmers and offer support in different ways to achieve their growth potential. Combination of different local stakeholders and long-term strategic and action plan are needed to be undertaken and professionalize the agribusiness to prepare it for sustainable growth. The marketing support small agribusiness receive, varies from strengthening of the management team to development of a marketing plan and from enhancing the network of farmers to implementation of new accounting or ERP software on their farm. How GGP deals with development in agriculture and food market and in the effort of making market work for the poor? » In partnership with experts and consultants in the field, we design and implement randomized evaluations to measure the effectiveness of programs and policies for agro-food marketing aimed at helping the poor and makes food affordable for them. » Development of training resources to support the professional development of agro-food marketing. » Series of events and webinars that provide helpful resources and information to new M4P approaches an opportunity for professional development for already established and interested parties. » Our staff members are available to provide both in-person and remote training's and workshops for organizations that serve farmers (on-site and off-site events). GGP is able to tailor our training's to meet the needs of a variety organizations dealing with agro-food marketing and M4P. Baring in mind the importance of the sector, the Government of the Republic of Macedonia has significantly increased the support for the sector in the last 6 years. For the period of 2007-2011 the governmental financial support for the agricultural sector was 320 mil. EUR. In 2012 this amount is 130 mil. EUR. This year the Government has introduced a new 5-year Program for financial support for agricultural and rural development with a budget of 725 mil EUR. Several new directions have been announced. In this context, GGP recognizes two aspects as crucial for the sustainable development of the Macedonia agriculture sector. Second, all of the measure from the direct income support, starting from 2013, will be connected with fulfilling the criteria defined in local GAP. From 2015, fulfilling the local GAP will be mandatory for each of the farmers applying for direct income support or support for capital investments. Having in mind the above, GGP believes that there is a significant interest and potential for promotion and implementation of the Global GAP standard in the Republic of Macedonia. The similarity of the agricultural sectors in the courtiers in the region (ex. Kosovo, Albania) broadens the GGP’s perspective outside the border of the Republic of Macedonia. The reasoning behind this idea is the following: Absence organized and consistent effort for implementation of food safety standards is nonexistent. There is significant amount of agricultural production (fresh fruits and vegetables) in all of the regional countries. There is evident Governmental willingness to support implementation of standards for food safety and sustainability. In order to keep the competitive edge in today’s modern markets of fresh agricultural production, accepting these standards is a paramount both for the business sector and the Governments as facilitators. GGP believes that by having an organized approach performed by well trained staff and sustainable budget will result into broader acceptance and implementation of the Global GAP standard both in Macedonia and in the region. Women living in the developing countries traditionally have contributed to productive activities such as agriculture (mostly small-scale), agro-processing crafts and home industries, trade and commerce.Therefore, a tendency to underestimate their economic roles and under count their participation due to inadequate data and prevailing definitions of economic activity always exist. While modernization has opened up economic opportunities in the rural areas, on the other hand it has led to a decline in traditional sources of income for many women, e.g., those engaged in the production of handmade and homemade items. In the agricultural sector, the introduction of mechanization and new technologies generally has discouraged small-scale producers and disrupted traditional food systems of production and complementary between the roles of the two sexes in the smallholder family. Low agricultural productivity due to lack of knowledge and technology on the whole, lack of income-generating opportunities and social services in rural areas have caused women to emigrate to the cities or shift their activities to another sector. » Capacity building of the institutions responsible for fostering social and economic participation of rural women in the development process. Rural tourism can be defined as “untouched national treasures” that encompasses a wide range of attractions and activities taking place in rural areas. It is essential for the visitors to experience agricultural and/or natural environments of the country. There are a wide and innovative set of rural and agri-tourism products and services available to the traveling public. It includes agri-tourism, agricultural fairs in rural areas, special events and festivals, the celebration of village historic sites, country fairs, etc. The extent to which these benefits are realized remains the subject of much debate. Certainly, there is evidence to support the claim that, as a vehicle of economic growth and diversification, rural tourism can make an important contribution to rural economy both at the level of the tourism operators and more widely in the local economy. » GGP team works with destination stakeholders and tour operators to develop appropriate new products, supported by an effective PR and marketing program. » Using our wide network of expert associates, we devise social and environmental safeguard policies, implement portfolios of revenue-raising methods, develop products and services and build local capacity to the economic value of local resources in a sustainable manner. » Our team can integrate strategies that engage all interested parties and build supply-chain links between tourism, local enterprises, education and agriculture. » We design and deliver strategies ensuring knowledge of the unique history and culture of destination informs visitors and local populations. » GGP team can conduct well-researched and evidence-based feasibility studies and optional appraisals for a variety of tourism developments including eco-tourism trails. » GGP team have experience in working with academic institutions and non-governmental and public sector organisations to carry out research on specific tourism issues and to design environmental indicators and development frameworks with focus on individual destinations or on a specific study area.